Google maps mobile 3.0 is the mobile version of Google map desktop version. Google maps mobile 3.0 works with GPRS or any other data plan to detect users current location with moderate accuracy. If there is GPS, locations will be identified with in meters of accuracy. Google maps mobile 3.0 adds a street view which will work in some selected countries. Google maps mobile are currently available for iPhone(pre-installed), Palm, Android, Symbian and Blackberry phones. Download Google maps mobile 3.0. Google maps mobile 3.0 . Locate position of user using GPRS or GPS . Show real-time traffic on maps . Map view and satellite view of territories . Find local business listings . 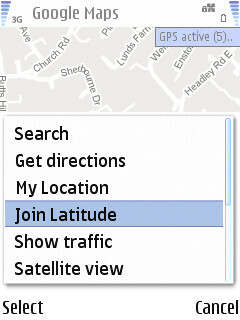 Find friends location using Google latitude. Google maps 3.0 provides street view ,walking directions ,routes and exact road maps for some countries . Download Google maps mobile 3.0 for Nokia and SonyEricsson Symbian phones . Download Google search 3.0 for Windows mobile . Download Google maps mobile for Palm . Google maps mobile 3.0 requires a working GPRS/3G/WiFi connection for proper operation. So where and how can I download it? Please let me know. And I don’t know how to install the app from the computer to my phone. So could you let me know how to download it with my phone through the internet? Or if you let me know the address for mobile phone then I can download it.